A recent post at http://jeffr-tech.livejournal.com/6268.html#cutid1 pointed to a possible Linux scalability problem when compared to FreeBSD. 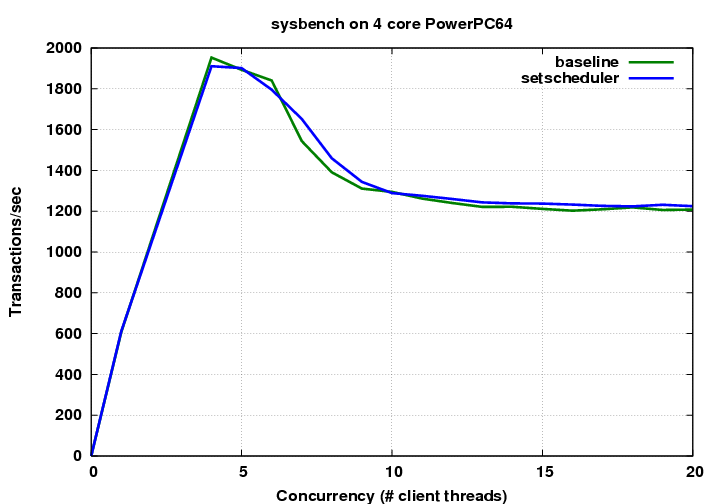 We see a problem when the number of benchmark threads exceeds the number of cores in the machine. Notice the large amount of idle time (30-31%) and the very high context switch rate (130,000/sec). While it looks to have helped slightly, the scalability issue remains. 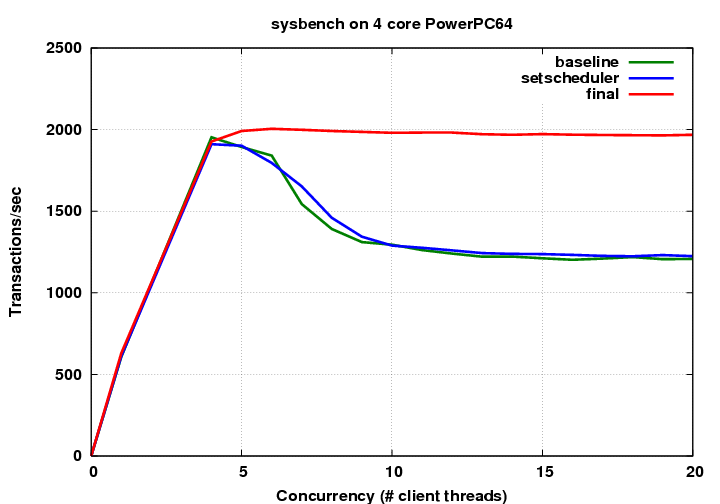 The high context switch rate and large amounts of idle cpu suggested a scheduling problem. With the strace output showing lots of futex calls, it further suggested pthread mutex or condition variable contention. 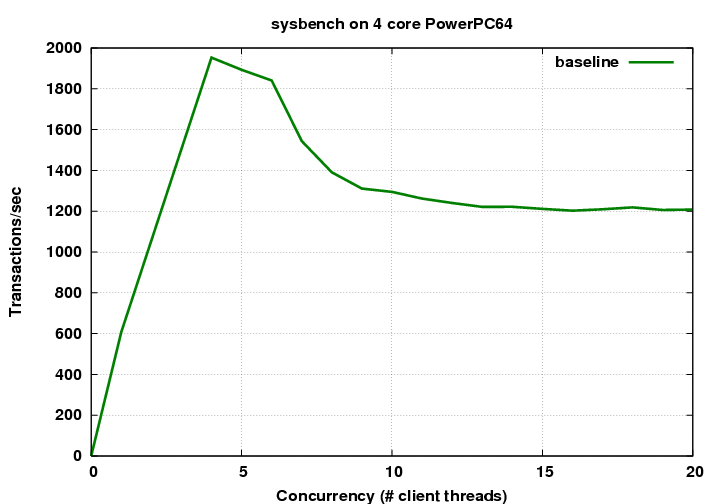 gdb was used to attach to mysqld while the benchmark was running. A backtrace of all processes was then taken. It turns out MySQL has a global mutex (THR_LOCK_heap) protecting the code in heap/*. Initial attempts to smash up this mutex produced mixed results, however it would be worth looking at this issue in the future. The glibc malloc library is known to have issues with threading. Since these allocation calls are all wrapped in the THR_LOCK_heap mutex, these negative effects could be multiplied. Replacing the glibc malloc with the google malloc has fixed the scalability issue.